No drug or combination of drugs can provide these three benefits! Millions of people suffer with mouth pain or discomfort. Some are short-term, such as canker sores, fever blisters/cold sores, infections, sores from sharp or hot foods, dentures, braces, etc. In addition, many people have chronic conditions that include, or can lead to, mouth sores. The mouth plays a critical role in overall health. Healthcare professionals now recognize the importance of the oral/systemic (mouth/body) connection. If the mouth is not healthy, we are not as healthy as we can be. Injured or ulcerated tissues, as well as chronic inflammation, in the mouth can affect other parts of the body. 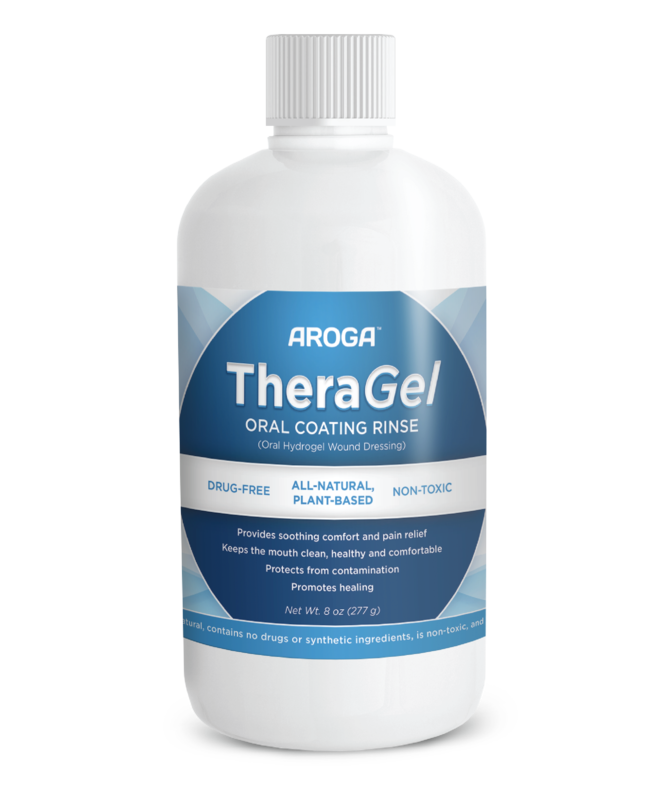 So, in addition to pain relief and healing, the third PRO of TheraGel, protecting oral wounds from contamination, is vital to optimal overall health.